Can You Afford To Look After A Cat? Most regular followers of this site know me from my many posts about my beloved feline family. (I have 15 cats and 1 dog, which was ALL rescued) When I took these precious animals in, I had to consider many facts in order to be able to give them all the life they so deserved. It is no secret that giving proper care to a pet or pets is expensive but it is easy to not see the BIG picture when we take in a pet and promise them the purrfect home. Little did I know when I started adopting rescued cats several years ago that a day would come when I was paying out of pocket over 100.00 (American dollars) per week for their basic needs. This is NOT including any unexpected emergency care that arises (and it DOES happen). How many of us really think about and calculate the lifetime cost of a pet before taking on the responsibility of bringing it into our home? It is easy to fall in love with them when you look in their eyes but in all fairness, they have needs and their needs are costly. We therefore need to ask ourselves BEFORE we make this lifetime commitment to an animal CAN I AFFORD PET OWNERSHIP? Can I Afford Pet Ownership? Most of us who are pet lovers assume that we can afford a pet but if we are honest with ourselves can we really afford a pet and care for it in the manner that a living creature deserves? 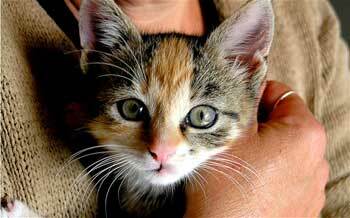 It is easy to walk by the pet store window on payday and see a precious kitten or puppy and think "awwww, I want this pet". So since it is payday and you have a little extra cash on hand, you pay for it and take it home. Your heart is in the right place but is your wallet in agreement? Ask yourself the following questions and find out if indeed, you CAN afford pet ownership. Are you financially able to provide the proper food that provides nutrition to your pet at every stage of their life? Can you afford to take your new pet to the Vet immediately after taking ownership to have it checked out and vaccinated? 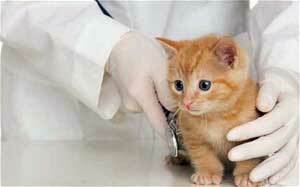 Can you afford to have your pet Spayed or Neutered as soon as it is old enough? Can you afford the weekly need of litter or puppy pads for a young pet in training? Can you afford proper and safe toys to occupy your pet in your absence? How much daily time do you have to offer your pet for one on one attention? Have you budgeted for any un-expected emergency care that your pet may need? Can you afford the necessary tools to keep your pet properly groomed such as nail clipping and coat care? Are your children old enough to understand how to properly care for a pet? Do you have a reliable person or pet sitter you can call upon in case you need to be away for any period of time? What Does Your Cat Really Cost You? It's easy to forget about long-term costs when you first take your new cat home. 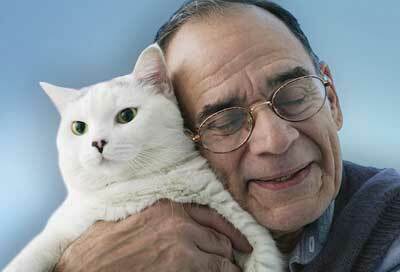 Although cats typically do not eat as much as dogs and vet bills are lower too, cats do generally live longer. As well as the initial costs such as, spaying or neutering, and other initial medical costs, such as worming, basic blood tests and insertion of a microchip ID tag (optional). The expenses of purchasing or adopting the animal. Modifications you may make to your home, such as a cat flap or gates. The sometimes extraordinary price tags of veterinary care if a pet suffers an accident or develops a serious disease. It is important to be realistic about these expenses involved so you can budget appropriately for your pet. If you're overwhelmed by the expenses of the pets you've already got, I recommend contacting local shelters, animal rescue groups and human services agencies, such as food banks, to see what help might be available. Shelters and rescue groups understand there's a problem, and most try to help. Such aid can include pet food banks, free litter and programs that include discounted veterinary care, including spaying and neutering. If you should ever get to a point where you find you cannot afford your pet (due to job loss or other unexpected happenings) then research some GOOD, NO KILL RESCUES and ask for their help. Most cities have charity programs that will assist you in feeding your pet or finding a forever home for it if you find you cannot give it the care you had hoped for. As part of pet ownership you need to consider the time commitment as well. Cost isn't the only factor that leads people to regret pets. You may discover you don't have sufficient time to devote to the animal. Think about the animal's needs for grooming, training and how that will fit with your lifestyle. Adoption from a shelter or rescue group is much less than buying from a pet store. In some cases they may only ask for a donation. Finding a good home for homeless cats is their main priority not money. (But do give as much as you can so that they can help other animals in the future). Make sure you will be able to save money for future expenses if you are not going to buy cat insurance. The last thing you want to have to do is to choose between your cat and a big debt. Thank you for allowing me to say what is on my mind. I look at my precious pet’s everyday and think to myself: I'd work 3 jobs if it meant making sure they have proper provisions. This is how we pet lovers think (with our hearts). God Bless you all who have given a needy animal a wonderful home with lots of love. Thank you Mary for this great article about pet ownership.